The next day, Mr. Bush was in St. Petersburg, Russia. While there, he did not make it up to the Solovetsky Islands, the site of the first camp of the gulag. Nor did he call upon the world to “always remember” the millions of people who perished in the Soviet concentration camps well before Auschwitz was constructed and well after Auschwitz was dismantled. The families of the victims of Soviet Communism — much more numerous than the families who lost loved ones in Hitler’s camps — received no special blessing from the leader of the free world. Mr. Bush should not be singled out for failing to remember the innocents killed in the gulag. Rarely do visiting dignitaries take time to remember the tragedies of Soviet Communism. The Russian state has done little to commemorate the millions who died or lived miserable lives inside the hundreds of camps scattered throughout the former Soviet Union. Tour buses do not haul visitors to Auschwitz-like memorials, because they do not exist. While private, informal memorials have sprouted, the Russian state and most of Russian society seem determined to avoid coming to grips with their Soviet past. Strangely, the coming parliamentary elections in Russia will be dominated by two parties with historical links to the gulag. The forefathers of the Communist Party of the Russian Federation (not a Socialist or Social Democratic party) created the gulag. The informal head of Russia’s other major political party, United Russia, is President Vladimir V. Putin, an alumnus of the K.G.B., the last incarnation of the Soviet secret police, which ran the gulag. Putin and the Communist Party leadership practice very different politics than their predecessors, but they have also spent very little energy recognizing the atrocities of their organizations’ pasts. 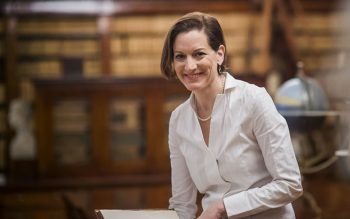 Anne Applebaum, a columnist for The Washington Post, however, has not forgotten. 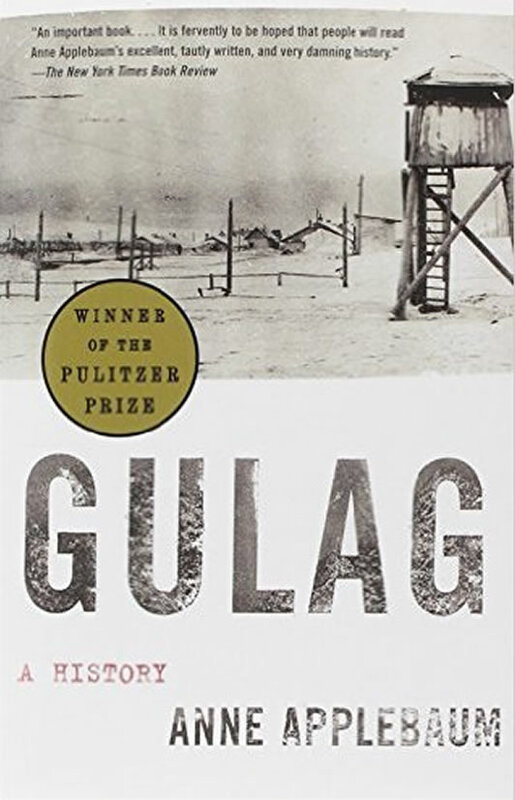 In her new book, “Gulag: A History,” she is determined to make sure the victims of the Soviet concentration camps are remembered and their oppressors exposed. Her book is tragic testimony to how evil ideologically inspired dictatorships can be. In the Soviet camps, as Ms. Applebaum documents in a straightforward, just-the-facts way, people were tortured and died in the most inhumane of ways — packed in boxcars, lying in excrement, raped, starved, frostbitten or standing naked, hands and feet tied, exposed to swarms of mosquitoes. These are horrors of a scale and scope that few in Russia or the West can imagine. Many of my students at Stanford have never even heard of the gulag. (Aleksandr Solzhenitsyn’s account was published long ago.) However heavy and difficult the reading can be, this book should be a required text for every student of 20th-century history in Moscow, Russia, and Moscow, Idaho. For scholars of the Soviet era, this book does not uncover shocking new material. It should now be known to all serious scholars that the camps began under Lenin and not Stalin. It should be recognized by all that people were sent to the camps not because of what they did, but because of who they were. Some may be surprised to learn about the economic function that the camps were designed to perform. Under Stalin, the camps were simply a crueler but equally inefficient way to exploit labor in the cause of building socialism than the one practiced outside the camps in the Soviet Union. Yet, even this economic role of the camps has been exposed before. What is remarkable is that the facts about this monstrous system so well documented in Ms. Applebaum’s book are still so poorly known and even, by some, contested. For decades, academic historians have gravitated away from event-focused history and toward social history. Yet, the social history of the gulag somehow has escaped notice. Compared with the volumes and volumes written about the Holocaust, the literature on the gulag is thin. In one meticulously researched and well-written account, Ms. Applebaum’s book makes an enormous contribution to filling the void. But rather than the last word, “Gulag” should serve as a foundation for a new literature. The book begins to answer many important questions, but more must be said. Did Stalin really believe that the camps might re-educate enemies of the state into productive socialist citizens? Why were Stalin and his henchmen so obsessed with obtaining confessions? Why did they take so seriously judicial procedures? And all the classic debates about the Holocaust need to be asked systematically again with this case (and hopefully by others about camps in China, Cambodia and contemporary North Korea). How could the guards have been so cruel? What did these conspirators in genocide actually believe they were doing? Why did those interned in the camps not revolt? And in contrast to Hitler’s death camps, why were so many gulag inmates released? Ms. Applebaum advances our understanding of all these questions but also sets the stage for future scholars to take the analysis one step further. In academic circles, there can be no more excuses for neglect.